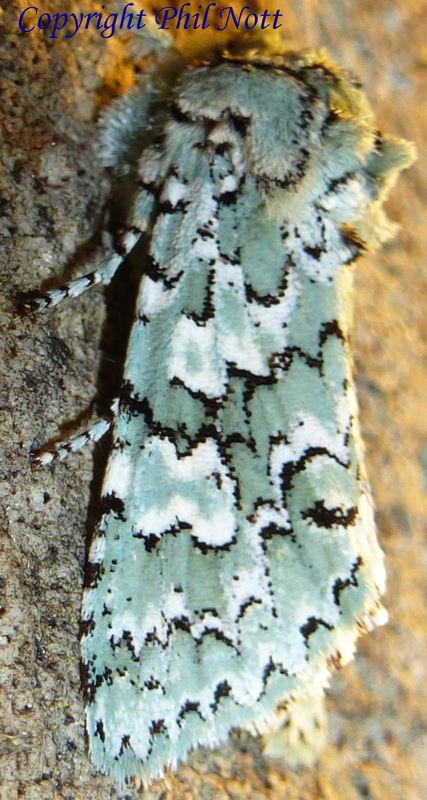 Identification: Forewing is pale green with large discal spots. Hindwing is white. Flight: Adults are nocturnal, fly in late winter and early spring, usually December to mid-April.